Growing up in the South, drive-in movies are a fun outing to do on the weekend. I have fond memories and I was so lucky to pass on this favorite pastime of mine to my Norwegian and English friends, Sara and Mia! They both had NEVER been to a drive-in in their life. My friend John and I were the experts and we were SO pumped to take these pretty ladies for a night out under the stars. 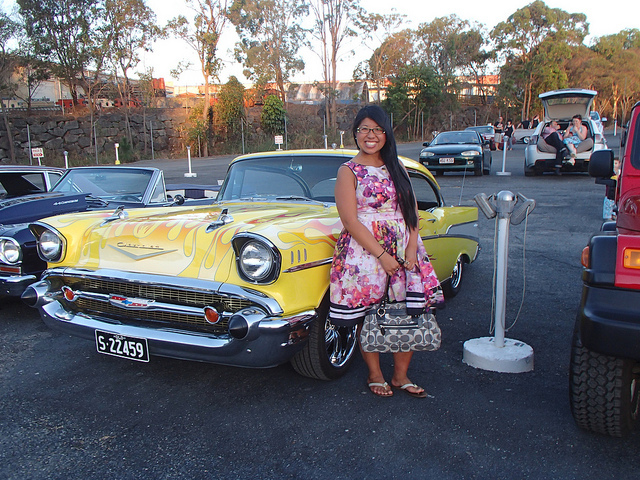 We went on a special night at the Yatala Drive-In called “Nostalgia Night” where vintage cars come out, James Dean and Marilyn serve us food, and a double feature is shown on the big screen. 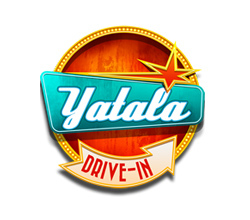 Yatala is a short drive outside of Brisbane being less than 30 minutes. Twice a year, the Yatala Drive-In flashes back to the 50’s and 60’s where the parking lot is filled with Cadillacs, Dodges, and Mustangs! The afternoon is filled with rock ‘n roll music, lots of car talk, and even more car envy. As the sun sets, everyone brings out their chairs, blankets, and snacks. We ended up watching Grown Ups 2 and then 2 Guns. We enjoyed the action packed later movie much more with Denzel Washington and Mark Wahlberg. We stuffed ourselves with lots of candy and popcorn. I made have had a Yatala Pie as well! A fun outing out of town that makes you feel like you’re a zillion miles away but in actually, you’re just a quick drive away. Check out the awesome cars that joined us at the drive-in here!